It is with deep sadness that we announce the passing of Ken Russell; he passed away at Powell River General Hospital after a courageous three year battle with cancer. He was predeceased by his loving wife of 48 years Sandra and his granddaughter Brooke. Left to mourn are his son Ron (Shereen) of Powell River, daughter Debbie (Kieran) of Cork Ireland; Grandkids Finn, Jared and Jenaya; nieces, nephew, cousins, friends and neighbors. Dad graduated from Brooks High School in 1959 and got a job in the Paper Machines at the local mill; he retired in 1999 after 40 years of service. He enjoyed talking about the different jobs he completed and the friendships he made with many co-workers over the years. Dr. Takhar, Dr. Burns, Dr. Delport, Dr.Strydom, Dr. Van Rooy, Janet White, and all of the staff at the Oncology and Emergency Departments at PRGH. Flowers gratefully declined. 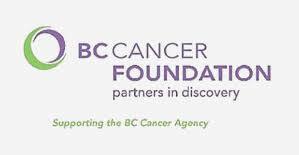 Donations may be made the The BC Cancer Foundation or the Oncology Dept. at the Powell River General Hospital if desired.